A voluntary recall was issued today for one lot of Ethex Morphine Sulfate 60 mg Extended Release Tablets. The manufacturer discovered that some pills sold since April 16, 2008, may be twice as thick as they are supposed to be and contain double the morphine. This could lead to life-threatening risks of a morphine overdose. The 60 mg extended release morphine sulfate tablets were sold under the “Ethex” brand. They are white oval tablets which contain a “60″ on one side and an “E” on the other side. Ethex Corporation has notified wholesalers and retailers who received morphine sulfate tablets from the recalled lot. They have been advised to return the recalled morphine which may still be in their inventory. Consumers have been advised to contact their doctor or pharmacist to determine if they have the recalled medicine. Morphine is an opioid which can lead to a fatal overdose if too much medication is taken. A morphine overdose can cause respiratory depression and low blood pressure. 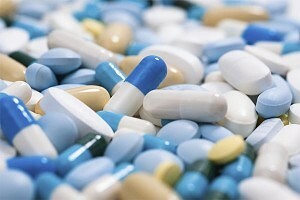 Therefore, the fact that tablets with up to twice the amount of morphine were sold poses a serious public health risk. For those who have suffered an adverse effect, we are advising that any unused portion of the prescription be safely stored and marked so that it is not used if a Morphine recall lawsuit is being considered. If you have any questions concerning Morphine Sulfate Extended-Release tablets, contact Cellino & Barnes at (800) 888-8888 or contact us.